LTL shipping rates are at an all-time low averaging $2-$3 dollars a mile. Now is the time to take advantage of declining rates. If you’ve been using parcel shipping, combine them into one LTL shipment. Less than truckload shipping can save your business money on shipping. Not sure how LTL transport works? We’re going to answer all your questions. What Is Less Than Truckload or LTL Shipping? Less than truckload shipping is freight shipping for items that fit on a pallet. These items are too large for parcel shipping but do not take up the space of an entire trailer. Less than truckload shipments offer better security. 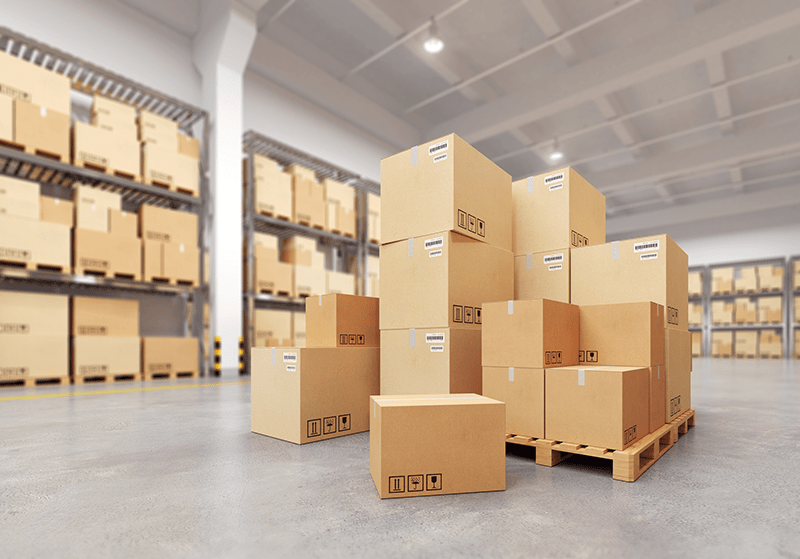 Putting more than one box on a pallet streamlines your shipping. This is easier to track than the boxes shipping one by one. You can track your LTL shipment through your bill of lading number. This lets you know where your shipment is at all times. You have access to special services that are not available with parcel shipping. There are also reduced costs associated with LTL shipping. You don’t have to pay for the whole truck with LTL. You also aren’t paying for many shipments through parcel shipping. There is a risk of damage as your shipment will get taken on and off the trailer during transport. You may need to spend more in packaging to guard against potential breakage. The delivery time of shipments does not have a guarantee. You need to pay extra to guarantee your shipment will arrive by a certain date. With no guaranteed transit times, your logistics planning is going to get complicated. You may also experience increased shipping times and delays. How Is It Different from Full Truckload? A shipment qualifies as full truckload when it needs the entire space or weight limit of the trailer. This generally means the shipment is over 15,000 pounds or more than 10 pallets. A trailer is 48 by 53 feet of space. Carriers want you to fill and pay for this space when you book a Truckload shipment. Less than truckload means shipments that take up less than the full trailer. This lets more than one shipper use the truck to transport their items. If a shipment is between 150 and 15,000 pounds you should consider LTL shipping. Items this weight are going to be more expensive when shipped by parcel. LTL shipping services allow your business to better use space. Carriers and shipping services offer warehousing. This lets inventory be on hand and ready for shipping upon notice. Your business can grow without restriction of space at your location. There are four factors that affect the rate of LTL shipments. The location and dimensions are the two main factors used. The further the distance, the more expensive the shipment. Your shipment will get more expensive when one of your shipping locations is more remote. The dimensions are the other main factor. The weight and size of the shipment determine the freight class, and thus the cost. Mode and Type are secondary factors that will affect the price. Mode refers to the type of transport. Type refers to if the shipment is a special commodity. Items that are perishable, hazardous, or fragile incur extra costs. There are 18 possible classes that your shipment will fall into. They number from 50 to 500. Your shipment’s class gets determined by density and value. The lower the class number, the cheaper the rate. If you plan on shipping a lot, you can create a freight of all kinds (FAK) agreement with a carrier. All your shipments of different classes can ship at one standard rate. Sometimes you need something extra added on to your regular shipment. You can pay for extra services provided by the carrier. If the shipment needs to arrive on a certain date, expediting it ensures a faster transit time. It can also guarantee your shipment arrive by a certain date. Inside pickup and delivery has the carrier bring the shipment all the way indoors. Without this service, carries will practice curb delivery. A liftgate can help take items over 100 pounds on and off of the truck. This is helpful if your locations do not have a dock. There is also an extra charge if your locations classify as limited access. Construction sites, schools, strip malls, and camps count as restricted locations. Final mile services provide transport from a shipping hub to the final destination. Usually, the final delivery is a home. Carriers tend to charge more to deliver to a private home. Having a carrier ship to a hub, and then using another service for home delivery can save you money. Measure your shipment after you package it. The carrier charges based on the whole shipment. Box your item and pack it with cushioning material. Place your item on a pallet made of solid construction. Secure the box to the pallet. When you measure your package, always round up to the next inch. Measure the width, height, and length. If you measure wrong, your carrier will adjust the bill to fit the correct measurements. Prepare your documentation. You will receive a BOL or Bill of Lading. This is your receipt and proof of shipment. LTL shipping saves you money by combining more than one shipment into one trailer. If your shipment is too heavy for parcel shipping, but not big enough for full truckload, LTL is the answer. Start by packaging up your shipment on a pallet. Then measure and weigh it. Double check to make sure the measurements are accurate. Get a quote and schedule your shipment with a carrier. Keep your BOL handy for tracking. While there is the increased risk of damage, the benefits far outweigh this risk. Let us help you schedule your LTL shipment today.